It's the first Wednesday of the year, so it's time for the Insecure Writer's Support Group! It's a new year! 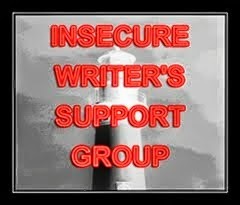 The Insecure Writer's Support Group is a large group of writers coming together on the Internet to discuss, support, and promote the craft of writing! Check out the group at the website here. With a new year, there come some new things and then old things, right? A person and their circumstances don't change at midnight on January 1st. But still, it's nice to think we have another 365 days to have adventures, be inspired, be creative, and get more writing down. 2018 was not a great writing year for me. In total, I finished two short stories, started a third that I dropped midway, started a creative nonfiction project that I shelved, and started writing a book I'd meticulously planned out, only to feel that it lacked soul--though I do intend to go back to it, since I still think a lot about the characters and their world. I also have another plot bunny I'm running over in my mind. We'll see if I can carry through to planning and then maybe even writing it. It is nice, right? ^_^ New years feel like a fresh start. Like, if the year before was kind of crappy, I feel like it's easier to be positive and leave all the crappy stuff behind with the old calendar. I had an interesting 2018, though. Half struggle, half pretty good. Probably due for a tiny writing slump, though. I feel it. Lol! But you've been so productive over the last few years! You probably need to take a break and refuel. Happy New Year! Agreed, things don't magically change from one minute to the next, but it is a time to reflect and adjust (if possible). 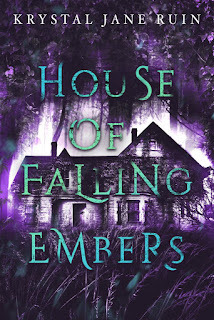 Finishing your two stories is great and yay for plot bunnies. Good luck on getting back to your book. It's good that the characters are still around. Have a great year! The past several years have been good to me in that I have written so many more books, but I have not really put them out for public consumption. I hope to break from this with the upcoming years. So exciting to hear that you are chasing a bunny that will take you places! Happy 2019! I only managed to accomplish one goal last year, but it was a big writing goal, and that's pretty much how I measure the success of the entire year. This year, I'm hoping to do better. I like to think Jan. 1 is a new chance or new beginning. An opportunity to start over. If those characters are still talking to you, you have to work on their story. There's something there calling to you. Good luck landing on an idea that you can't not write. Good luck chasing down that plot bunny!